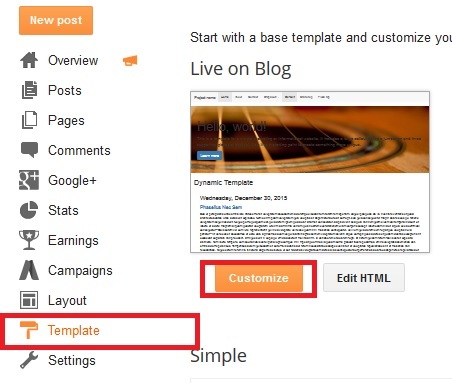 The first step is to pick a basic Blogger template and strip out a significant portion of the layout without damaging the Blogger functionality. I chose the Simple template as a the easiest path. What we'll be doing is removing most of the CSS, div tags and Variables to reduce the Blogger template down to its essential layout components so that both the Layout editor and Template editor can still work. (In many external Blogger template seller sites that have modified templates for sale or are free, the designers just strip away everything and render the Blogger editors basically useless). Press the 'Save Template' button again. Next, we're going to remove the core template <div> tags that are outside the gadgets (note that gadgets themselves contain <div> tags as well but we'll keep those for now). This is a very tricky step but you'll find that the template editor is your friend here. 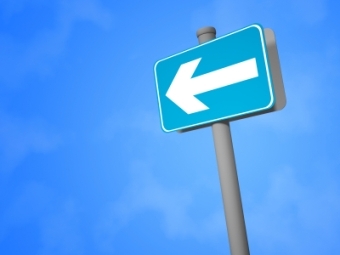 As you remove <div> tags the editor will highlight the ending </div> tags that are mismatched. You're going to keep doing this through the template until all <div>s are gone by continually saving and removing (but keeping any div tags that are within a <b:widget section). Now that you've completed this step your template is now fully clean but should be able to still be functional in the main menu Layout section (try adding and deleting some Gadgets to verify). Also, the 'Customize' button should still work partially to add and remove right or left hand columns or footers in the 'Layout' section without any issues. Be sure to verify this. Congrats! 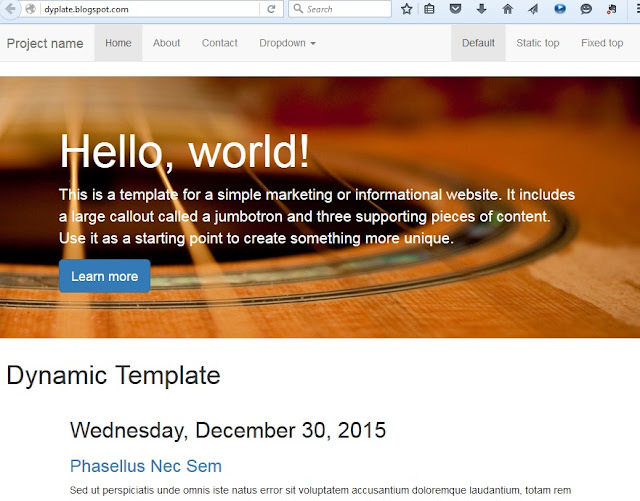 You now have a Bootstrap ready template. These are the necessary mods for the mobile and browser compatibility settings. You've probably noticed that I commented out the bootstrap.min.css code here. This is because of the naming collisions with Blogger I noted earlier. What we're going to do is to get a copy of this CSS code, modify it and then place it in the <b:skin> section of Blogger's template. The reason we're doing this is due to the 'navbar' name in Blogger. 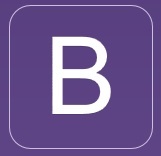 It is different than Bootstrap's navbar so we have to alter the Bootstrap name. What this implies is that any time you add a Bootstrap navbar to Blogger you'll have to alter all of the navbar names to navbar2 which I'll show in a bit. Save your template now and make sure it works again by previewing it, checking if the Layout editor works and the template designer can alter your columns and footers. Congratulations!! A ton of work has paid off! 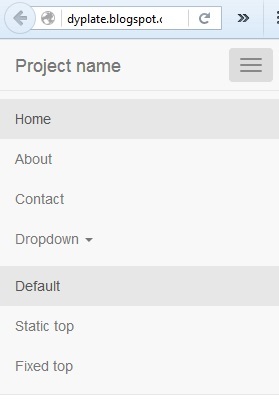 You now have a first functioning Bootstrap template. "Wait a minute!" you might ask! "I don't see anything yet!" That's correct. 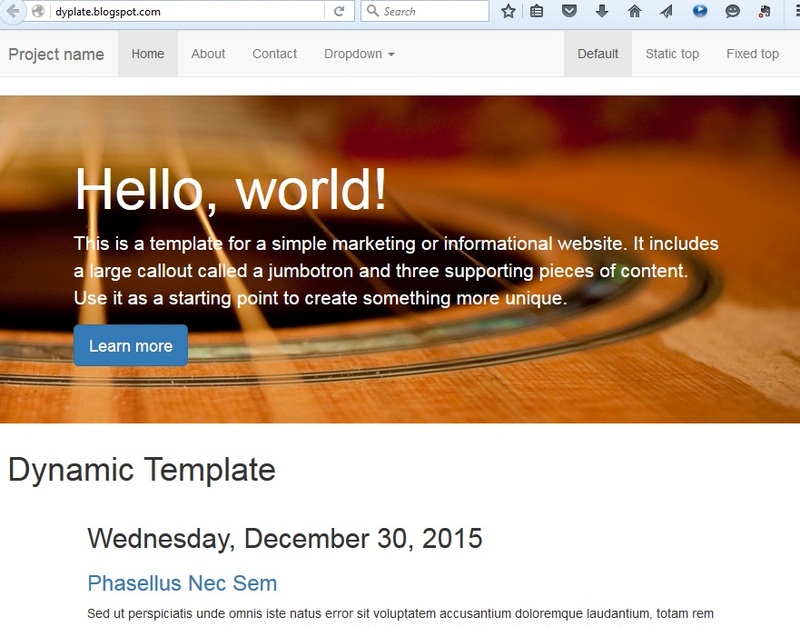 You now need to add the basic Bootstrap HTML to your template. I'm assuming you understand HTML fairly well so that you can add the Bootstrap components you desire. I'm just going to place an example here by starting with the Bootstrap navbar and jumbotron sections. One of the best parts of Bootstrap's capabilities is the flexible navbar and upper image contained in the template when you view it on different devices. This is a very simple HTML addition now - just adding the <nav class section and <div class='jumbotron' section. Let's start with the navbar. At this point the actual menu items would have to be altered directly in the HTML code above to add your menu items and associated page links. Connecting it to the Blogger template editor would be tougher and I just wanted to get you based functionality first here. Finally, in this tutorial I'll also add the jumbotron component. This is a large image that sits just under the navbar (if you have one) and will dynamically scale and scroll when you adjust your browser window. I found a simple image out on the Flickr Creative Commons for this particular test. 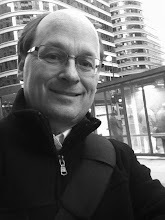 If you've read my previous posts you need to add your desired image to Blogger's image pool first. All you have to do is add your image to a new Post, save it and publish it. Then revert it back to draft status. Your image is then saved on the Blogger network no matter if the post is active or not. Go back into your post and view the HTML. The image will have a long link like this - http://3.bp.blogspot.com/-WaVTSbFhH_M/Vb5-5XCDGoI/AAAAAAAABOg/T2sq5TOlIlQ/s320/BloggervsWordpress.jpg. Save your template. We are just about ready to go. The last thing I want you to do is to add the single Bootstrap <div class='container'> section around everything under the </header> tag in the Blogger template. Just add it right after the </header> tag and place an ending </div> tag just after the </footer> tag at the end of the template. That's it for Part 1!!! You now have a template with a scalable navbar and jumbotron image! The entire image and template should slide dynamically up and down when the menu is selected in a small mobile view. Here are my examples and here is a link you can try: dyplate.blogspot.com. Enjoy!!! I was looking for this kind of tutorial because I wanted to use Bootstrap with Blogger for my template. Thank you so, so much for this in-depth comprehensive tutorial. Finally I can start working with it now. thanks man this tutorial is totally aewsome! I had to remove one of the meta tags that had "isMobile". My blog wouldn't show the Bootstrap for mobile and would instead show like a full site in the browser on my mobile. I also had to fix the margin-bottom in .navbar2 to 0 to remove the gap between the navbar and the jumbotron that was showing. And I moved the blogger element that contained my name into the Jumbotron. Overall, you did a great job. It pointed me in the right direction. Thanks. I'm going to mess around a bit more in the code. I wish there was a guide to recognize which tags controlled what instead of removing elements one at a time to figure out what does what. Yeah, sorry about the delay - I'm in graduate school and classes just finished so I'll be able to add it this summer. just checking - you are removing the sections too? To my previous point, I am getting an error "The template does not define a section with id "footer-1"." - not sure what I did wrong. It is tricky and you have to be very careful to only delete the div tags and not the Blogger template itself - like footer-1. Just practice on a test blog again and once you have it you can copy the code (as long as you used the same template) to another blog. Nice post..I really appreciate your information. Thanks for this! I was (apparently) reinventing the wheel when I came across this. Excellent read! Thanks, this has been super helpful in getting the basics down to migrate to a responsive design for my site. Taken a while, and still lots to do but off to a great start. Yes, it is a bit tricky and I'm sure I didn't get all of the bugs worked out - but, you can start with this and then try to place the posts within the framework - which I don't think is too difficult. Thanks for the help and spending time on this tutorial. Very good. 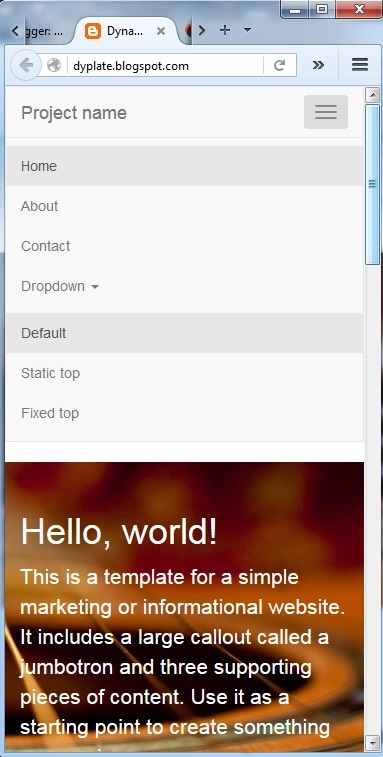 Im facinated with bootstrap usability and blogspot. Hi, awesome thanks for sharing! If I am not wrong you used the Clean Blog theme...what if I would like to use a specific theme for the homepage (like this:https://startbootstrap.com/template-overviews/blog-home/) and another one for the blog post pages (https://startbootstrap.com/template-overviews/blog-post/). How should I find the correspondent code in the Blogger template? Thanks! I'm glad it worked out for you! I have more coming - it gets a bit complex and if you read my article on the future of Blogger I suspect Google is going to radically change it. So, I try not to do too much deep in the template. Take care! Great...it will going to help thousands of peoples across the world. Thanks for this awesome tip! However, where do i edit for changing fonts for those jumbotron? just wonder one thing, to show glyphicon on the screen properly "" is necessary to be activated. is that correct, James? Thanks a lot! I just wanna design a template by myself. Don, you are awesome. Truly AWESOME. Thank you. Your tutorial guided me to success. May God bless you with wonderfull health! Congratulations, a high quality and excellent tutorial! Adding Bootstrap to Google's Blogger gives a greatly enhanced capability. thank you so much for the tutorial. can I use it with bootstrap 4? Hi Rafi, I haven't tried this with Bootstrap 4 yet. You could try a test blog and see if the same techniques work. You would have to do the first steps anyway of stripping out the Blogger template.